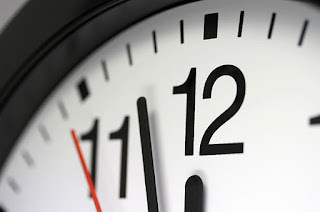 Is your restaurant or pub open until after midnight? In the ROBOTILL Point of Sale System you can choose if you want to group sales that was done after midnight with the previous day in order to see how a specific shift or waiter performed that started the previous day but ended in the early hours of the next day. Use 'Shift Date' instead of the 'Sale Date' for reports and charts that are grouped by date. That means the report will group the sales not by the date and time of the sale but the date and time that the shift started. Business day start time: If you set your start time for a day at 07:00, then any report where you select a date range will start at 07:00 of the selected day (instead of 00:00 that is the default) and end the report at 06:59 on the day after the end date of the report (instead of the default that is 23:59 on the same day). Although theses settings is in the Restaurant Specific section of the configuration screen, the settings will apply to both the retail software module and restaurant software module as some pubs prefer to use the retail module instead of the restaurant module.